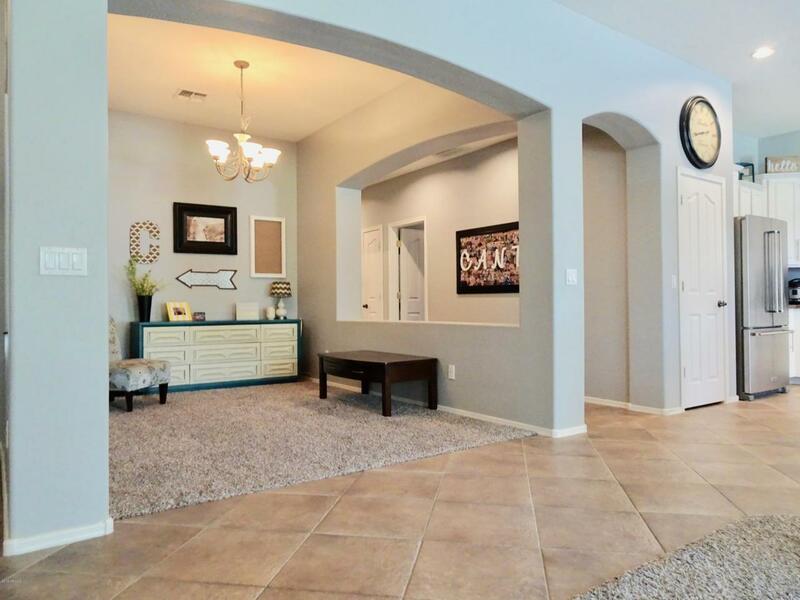 Single-Story 3Bed, 2Ba, Den, 3 Car Garage, RV Gate, Extended Patio, Half ACRE lot at Tone Ranch Estates in Gilbert! New upgraded Stainless Steel appliances with double oven and gas cook top stove. 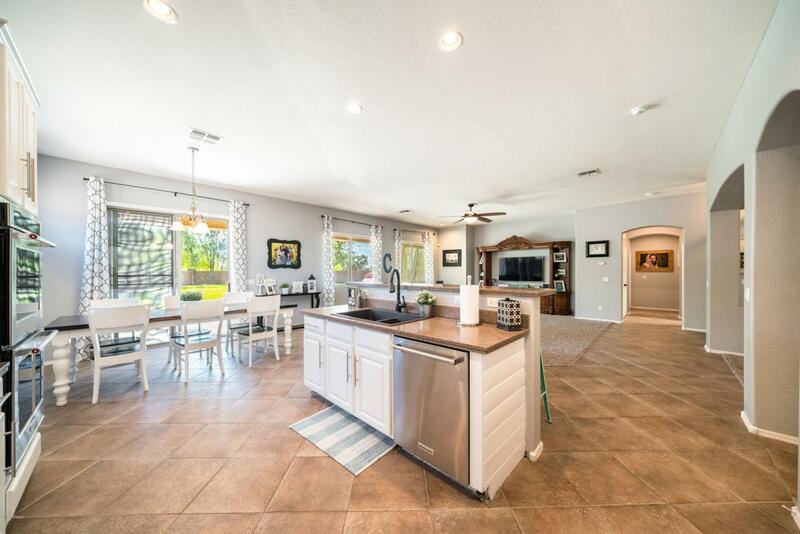 Eat in kitchen with new painted cabinets, custom finishes, tile at busy areas, split bedroom floor plan, 2'' wood blinds, Low E windows and you may fall in love with this spacious back yard's sparkling pebbletec pool with waterfall to entertain friends, family and/or more possibilities. 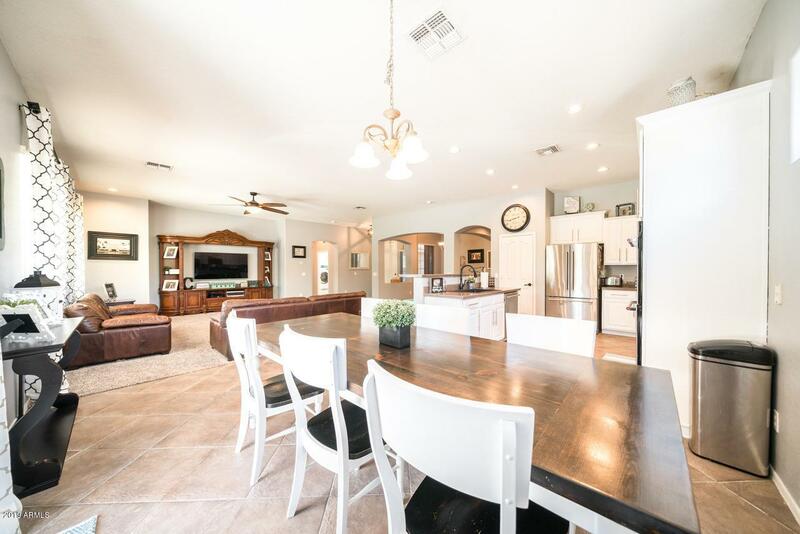 LOCATION is walking distance to the Riparian Preserve. Near several restaurants, grocery stores and Gateway Hospital. 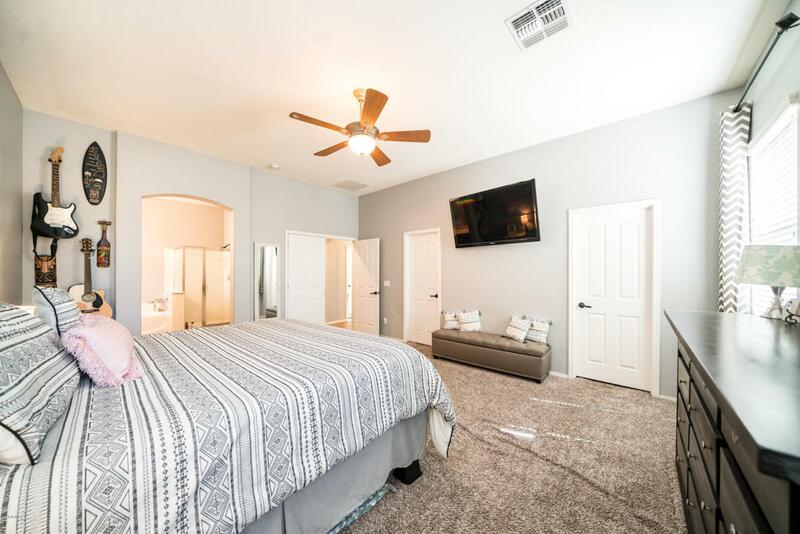 Close to US 60 and 202 freeway for a quick commute to Tempe, Scottsdale, Phoenix and not too far from the San Tan or Superstition Springs Mall. Highland High and Highland Jr High school district.